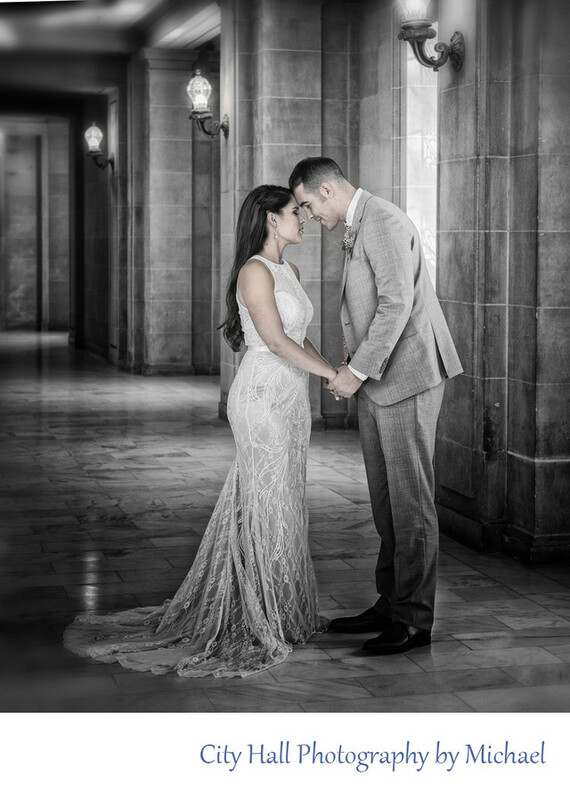 A slight special effect in black and white adds to the mood of this romantic wedding photo at San Francisco City Hall. One of our favorite locations to shoot here is the 3rd floor because of the fantastic north facing window light. If you look behind the bride and groom, you can see the small areas of light on the floor. This is the soft window light coming through. A wedding photographers dream! We then used Photoshop to add a little texture to the image to give it a different feel. Its important to know that we always provide our clients the standard image along with the special effect. This gives you a choice!